Baselworld 2012 offered the opportunity to view the latest issues of upcoming timepieces. It was especially interesting on Press Day, the day before the official start of Baselworld. 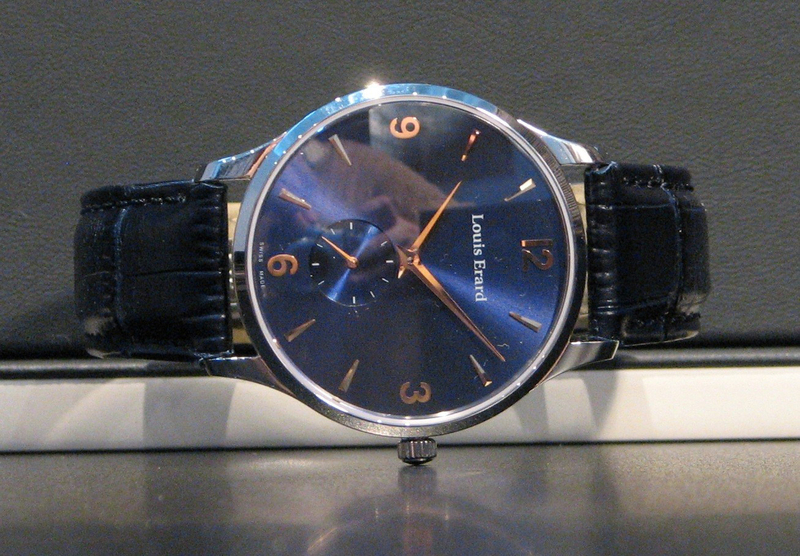 My first appointment this year was with Louis Erard who was introducing several new timepieces. 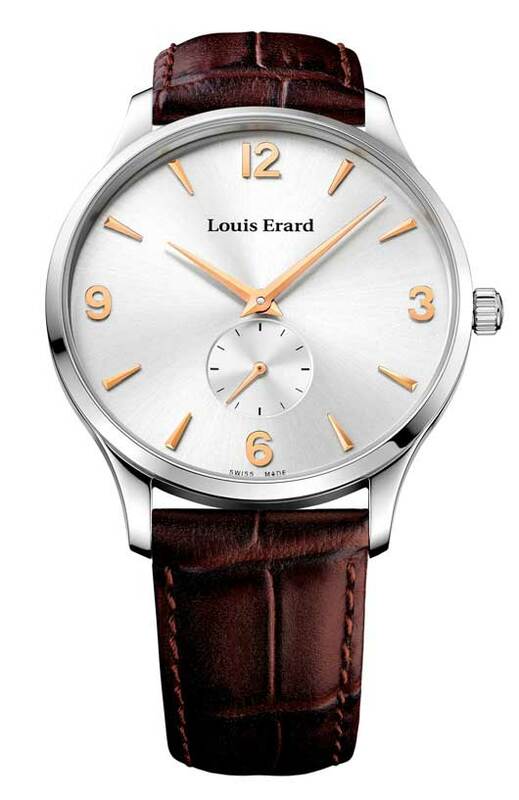 One of the new watches was the hand wound stainless-steel Louis Erard 1931 Small Seconds timepiece, powered by a Peseux 7001 movement. This new watch displays hours, minutes and seconds in a 40mm flat case that lays very nicely on one’s wrist, as I found for myself when I tried it on. The watch is available with three dial options: blue, silver-toned and grey, which sit under a domed anti-reflective sapphire crystal. The blue and the silver dial possess gilded indices, which create a very special effect. The grey dial watch, however, has silver-toned hour-markers instead. 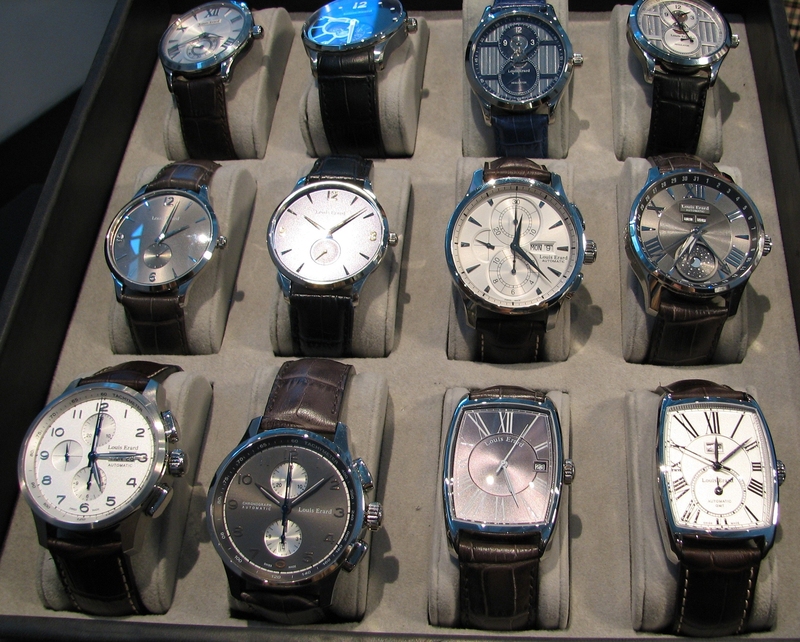 I snapped the photos below on Baselworld Press Day 2012. You can see the grey- and silver-dial versions on the left in the second row. I have tried to capture the shiny blue colors of the blue dialed timepiece despite the adverse lighting conditions that day. The Louis Erard 1931 Small Seconds is rounded off with a genuine leather strap. The grey dial version features a coffee-colored strap, the silver dial timepiece comes with a brown strap, and the blue dial watch sports a matching blue leather strap. All the finishings of this understated timepiece are perfect. 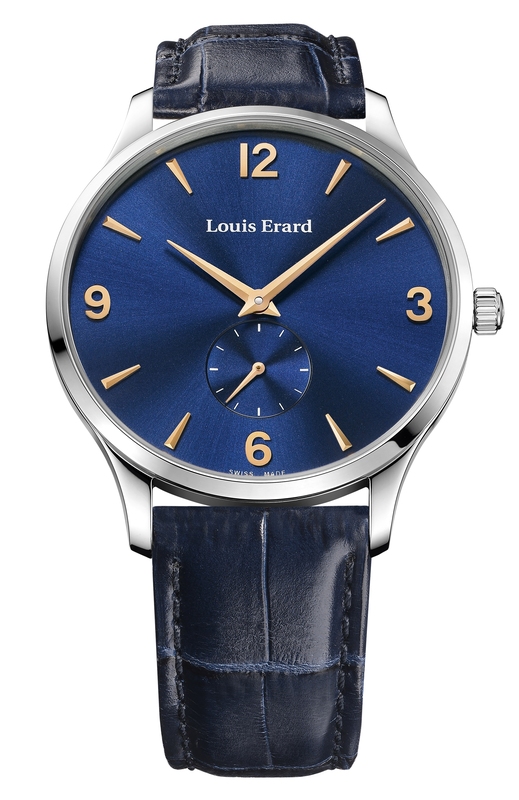 They reflect a powerful, sophisticated and pure creation, and while the new Louis Erard 1931 offerings are imbued with the Haute Horlogerie spirit, these watches are made available through your authorized Louis Erard dealer at surprisingly affordable prices.